My six year-old has forgotten about his fidget spinner. It sits lonely and still on his bedroom dresser. I find myself spinning it each time I go into his room hoping to bring back the magic that was once there when he first received it. But no magic has returned. It still sits lonely. I have an idea. 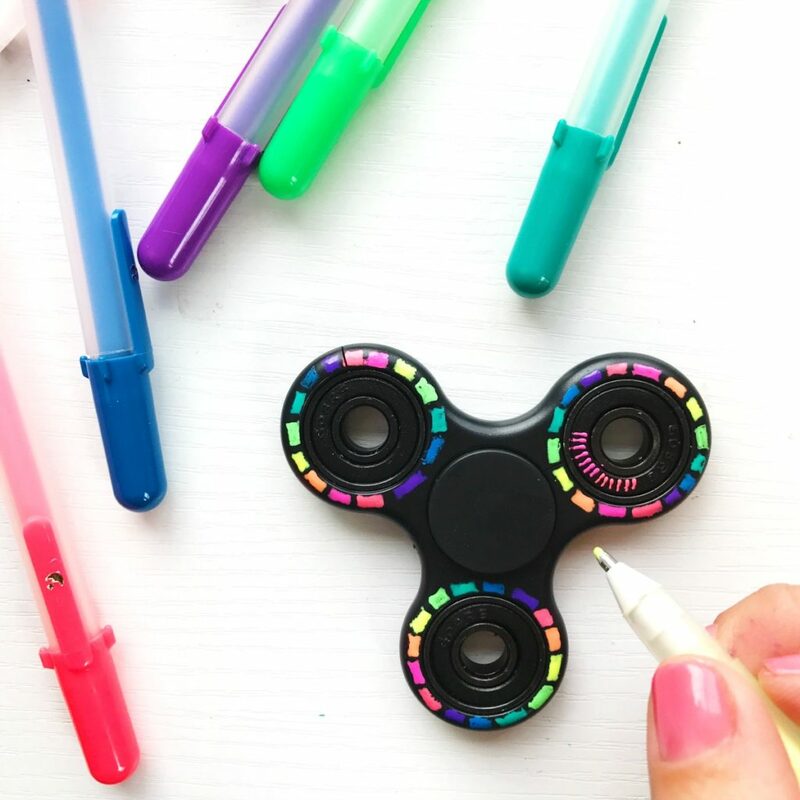 Maybe if I made the fidget spinner a little more fun it would attract my son’s attention again. When I look at it I see a perfect canvas for decorating. It really does need some bright and beautiful colors. That’s just the way my mind thinks. I want to craft everything pretty. 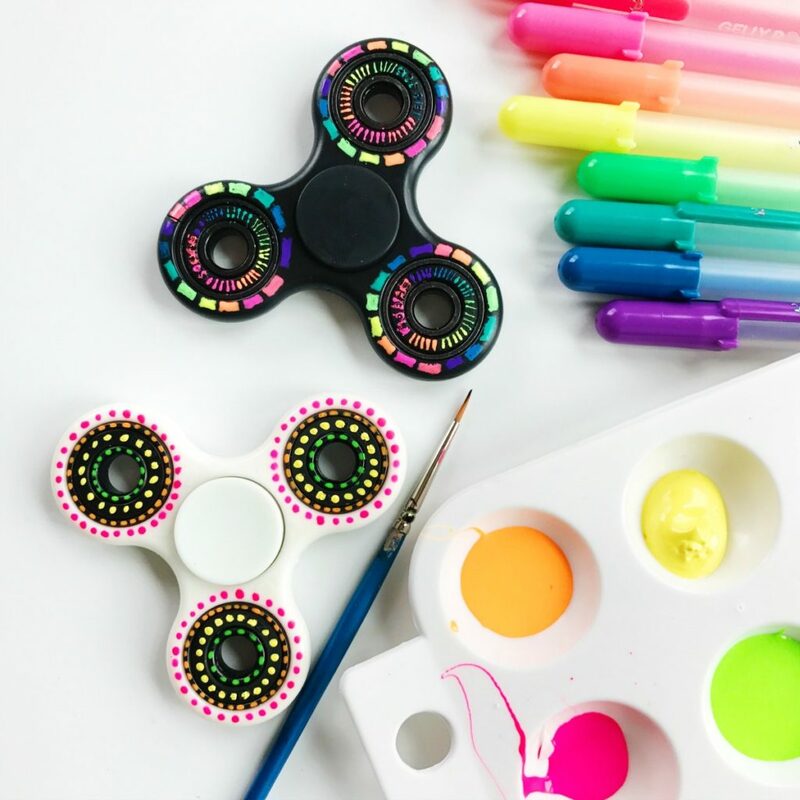 Here are two ways to bring life back to forgotten fidget spinners. It doesn’t have to be complicated. All you need is a little paint or some colorful pens and about 5-10 minutes. 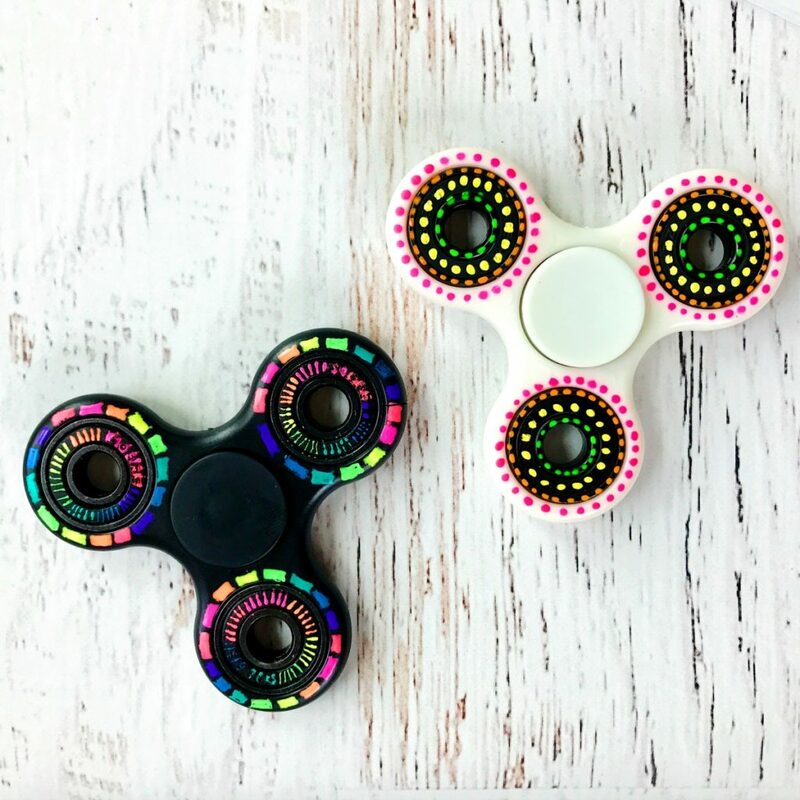 Fidget Spinner – I purchased this spinner in white because I wanted one that didn’t have a big logo in the middle. Small paint brush – I use the small round paint brushes from this set. Sealant – I like this sealant because it’s matte and non-sticky. I use it often on my painted rocks. 1. Clean you spinner with a damp cloth and dry completely. 2. Start making tiny dots, closely spaced apart around each of the three rings. I started on the very outside of the ring, but it may be easier to start on the inside and work your way out. 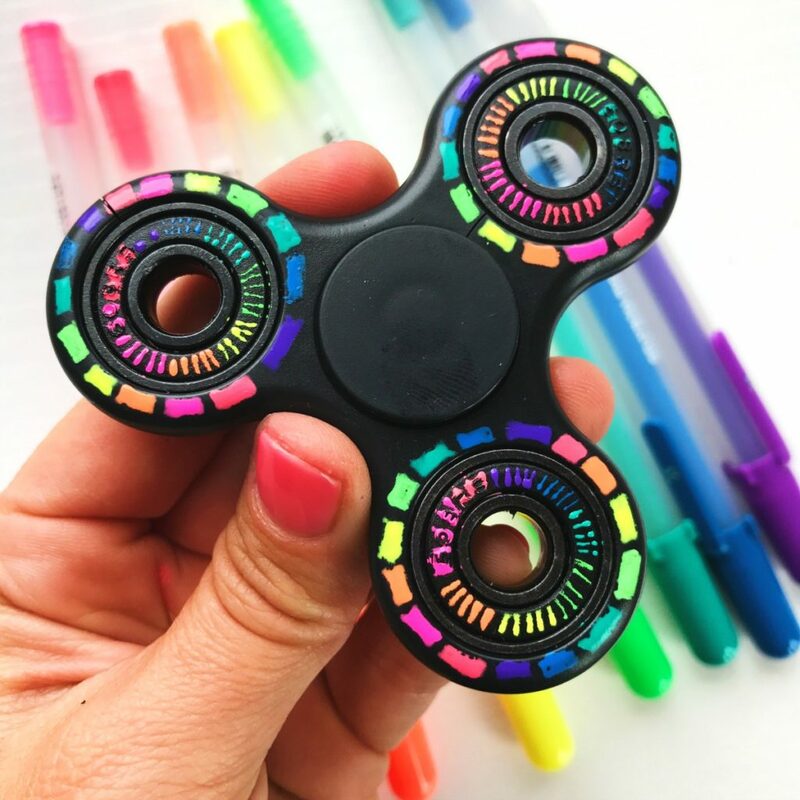 Fidget Spinner – I purchased this fidget spinner in black because I wanted one that didn’t have a big logo in the middle. Moonlight Gelly Roll Pens (broad point) – I love these gelly roll pens and they also work beautifully on black paper and on rocks! 2. I didn’t plan my design, I just started doodling. Be careful as you draw because the gelly roll pens do not dry quickly and it’s easy to smear the ink. The good news is that if you mess up, you can easily wipe away the ink if you quickly apply a damp towel. 3. Once you finish your design, let the ink dry completely. 4. Seal your finished design with a spray sealant. I’m happy to report that project decorate fidget spinner was a huge success. And now my little boy wants paint his own spinner masterpiece. 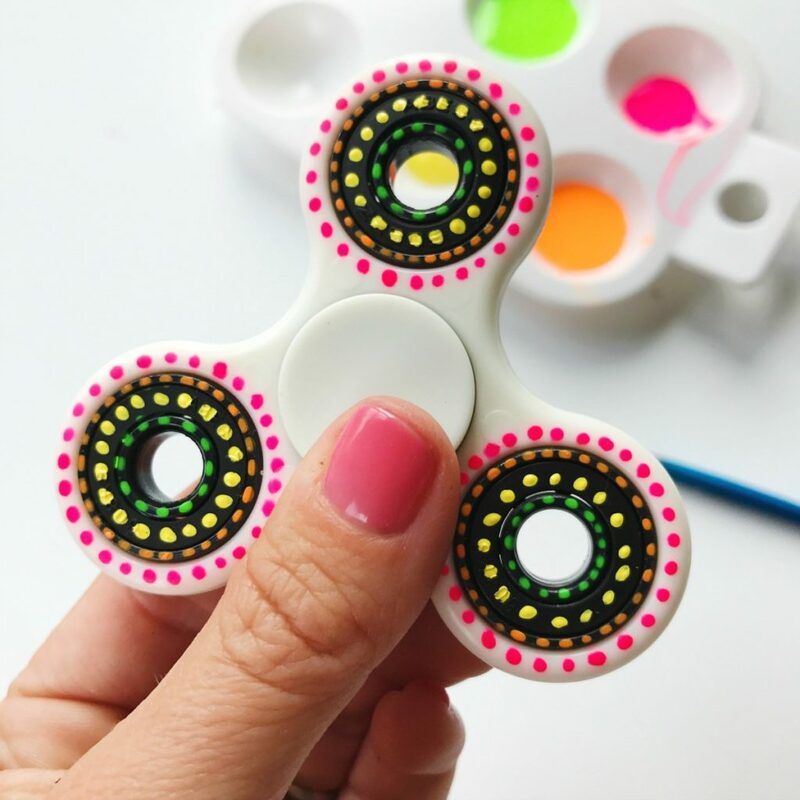 I hope this crafty little idea brings life back to forgotten fidget spinners all over the world. If yours comes back to life I’d love to see it. Post a pic on my Facebook page or tag me on Instagram. 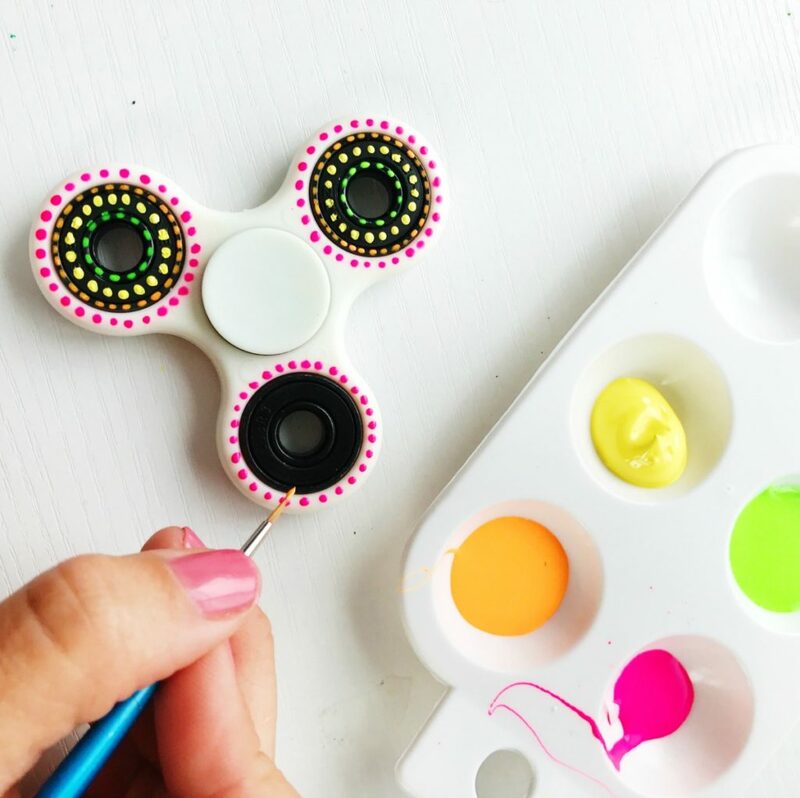 Together we can make forgotten fidget spinners spin again! That sounds like a fun project! You might want to also consider some colorful wash tape. You can add a coat of sealant over the top. Also, posca paint pens work well on lots of surfaces.